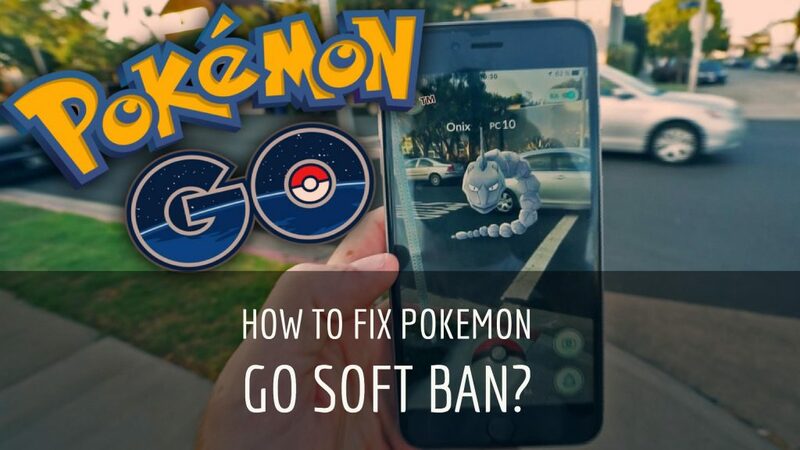 Pokemon Go Soft Ban | How To Fix? How Long It Lasts? Pokemon Go Soft Ban | How To Fix? Pokemon Go is one of the favorite game of the recent time. People are crazy for these game all around the world. It officially releases in countries like United States, Australia, and New Zealand only. People of other nations are enjoying playing the hacked version of Pokemon Go. Here in this session, you will learn about how to Un-ban Pokemon Go, if your Pokemon Go Account Soft Banned. Pokemon go soft ban means you can walk to the game, you can see the Pokemon, but it didn’t allow you catch, Pokemon merely break the ball and run away, instead of adding itself to your collection. It is called soft ban Pokemon because you can get back when their soft ban is over. The time duration depends on the type of ban. With the help of this article you can quickly get unbanned game, and once again you can enjoy the Pokemon go. First, you have to log out from the current gaming account and creates a new account. Now log out from the new account and after delete Pokemon Go game. The next step is to log in with your old account, and you will get your unbanned account. Note: If you are not interested in above process then you can use your newly created account, too. Now continuously spin up to 40 times. We can’t gain single price for this 40 spin because our Pokemon goes under the soft ban. Repetition of this process will unban our Pokemon go from the soft banned account. Again repeat the process of spinning, after the accomplishment of 40 spins, you get prices, that means your account is un-ban. Again start playing & enjoy the game. Almost all of Pokemon Go users are breaking game’s terms and conditions. That’s why their accounts are getting banned. For unban your account You have to submit an appeal to Pokemon go, team. This request means there will be best chance to recover your banned account. I am suggesting this method because I used it for recovering my Pokemon go soft ban account and succeeded. We wish this article helps you to get back your Pokemon go account. If you like this article, then please share it with your friends.